Our mission at Providence Christian School is to prepare young minds to become "all God has called them to be." We believe the biblical command to share the gospel with others, both in word and deed, is central to the calling of all believers. For this reason, we place a strong emphasis on missions and service at PCS. Through organized efforts, programs and trips, we seek to develop in each student a sense of being "others-focused." Younger students participate in efforts on-campus to help meet the needs of others in Christ's name, like collecting needed supplies for local shelters or raising funds to provide a well in a drought-stricken African village. Older students are engaged in more hands-on missions opportunities as they grow in their skills, vision and commitment. 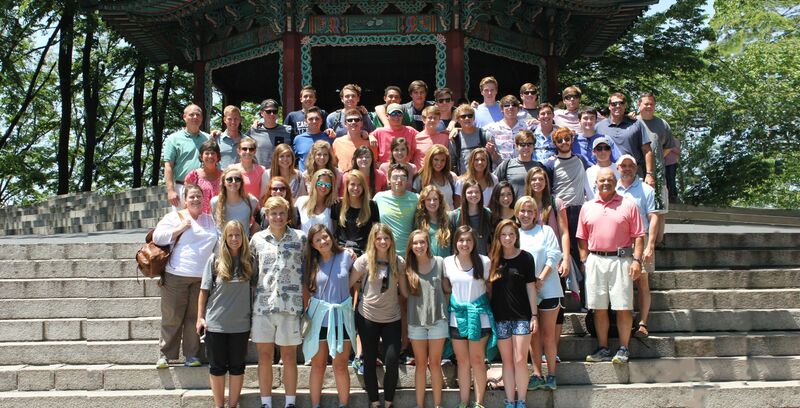 Our program for developing in each student a love of missions culminates in the senior year with a foreign mission trip. In years past, our seniors have served in locations such as Trinidad, Sweden, China and England. It is our desire that the teaching received by Providence students will impact lives far beyond the walls of our classrooms, for God's glory.